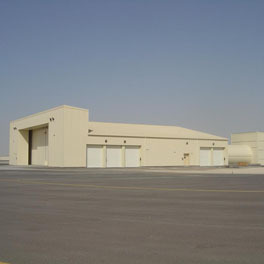 Vital Link is USAF’s IDIQ contractor for Hush House repairs, refurbishment and relocation services. Vital Link has performed Hush House support since the 1990s, and has been the primary supplier to the USAF and ANG since 2001. VLI has refurbished & relocated over thirty (30) Noise Suppressors/Engine Test Cells including T-4s, T-8s, T-9s, T-10s, T-11s, T-12s, and USN Aircraft Acoustical Enclosures. In addition, hundreds of repair & refurbishment projects have been completed for the USAF and ANG, including multiple simultaneous repairs, working throughout CONUS and OCONUS, managing configuration control, and implementing significant product improvements. Our proven innovations of Fire Suppression Systems utilizing Novec and other green retardants offer best available solutions for test cell fire risks. This integrated efficiency has produced legendary life cycle cost savings. 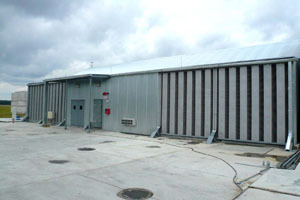 In the early years of the Hush House program, large primes’ Contract Field Teams (CFTs) performed Hush House maintenance. 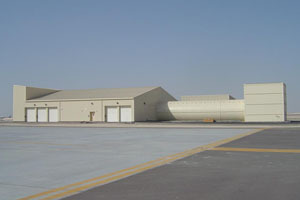 After the closure of San Antonio Air Logistics Center the program transferred to Warner Robins Air Logistics Center. 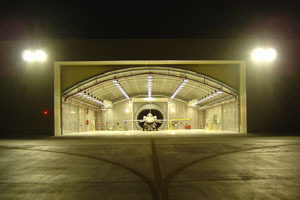 VLI then began innovatively supporting the maintenance service program for the USAF. Now, as an Atec company, we are backed by our country’s oldest test cell company. 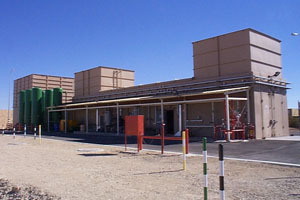 Atec is USAF’s IDIQ contractor for test cell systems and stands, and Celtech is the prolific engines test equipment successor to Space Corp. and Page Avjet from the 1940s through 1990s. 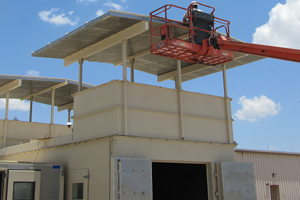 Vital Link has established and implemented current & common configurations across the T-10/T-11 Hush House & T-9 platforms. 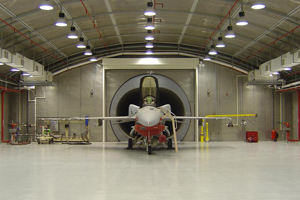 VLI designed, manufactured, supplied and installed Exhaust Sound Attenuation Kits (ESAK) to solve deficiencies in performance of the Exhaust Augmentor/Deflector Systems for USAF Noise Suppressors. Vital Link and Atec have innovated portable test cells over the last 15 years, which have now gained wide acceptance worldwide. Vital Link has a historical repository of supplemental T-9/T-10 technical data and drawings dating to the early 1980s. No other entity can match the military engine test data library and know how of Vital Link, Celtech and Atec. Now with NETS, we hope to increase our efforts for the US Navy and Marines. All Hush Houses and Noise Suppressors are compatible with ADAQ™, ENDAS, EDACS, FADAS, JETI, SETI, TPTI, NGEN and PC4 data systems. Vital Link can provide the project management, engineering, manufacturing and construction capabilities to deliver an efficient, quiet enclosure, along with installation of test cell support sub-systems. VLI maintains current data for all NSS Parts and Components. 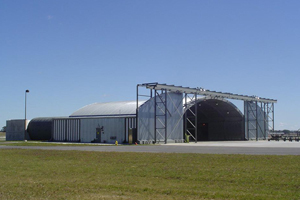 As an Original Equipment Manufacturer (OEM) of Hush Houses, Vital Link and Atec have continuously worked to develop product improvements and implement various hardware changes to address product deficiencies and obsolescence to support the USAF, USN and Allies worldwide.